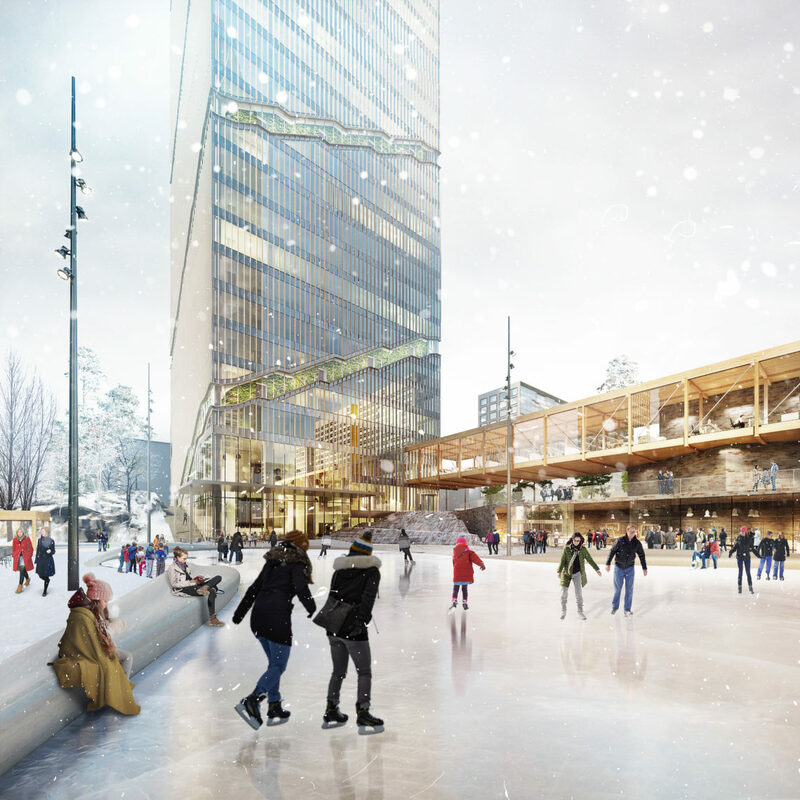 The proposal “Etelä-Pasila” is based on the idea that downtown Hel­sinki does not have to be expanded using only equal height perimeter blocks. The best possible future for the city in­cludes diverse neighbour­hoods for the diversifying population to choose from. 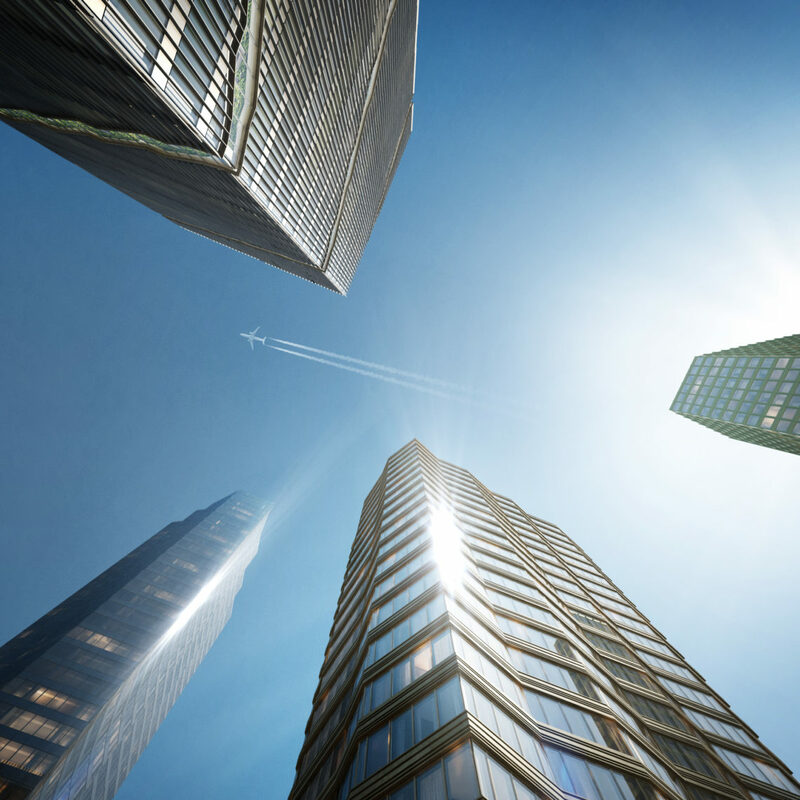 Finnish cities rarely rise above the height of eight floors. 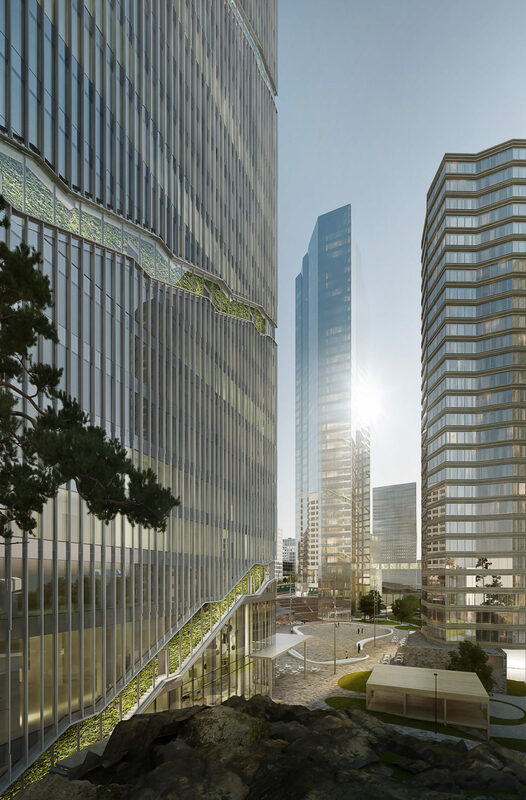 Several high-rise buildings are being proposed, but none of those truly create a new district. 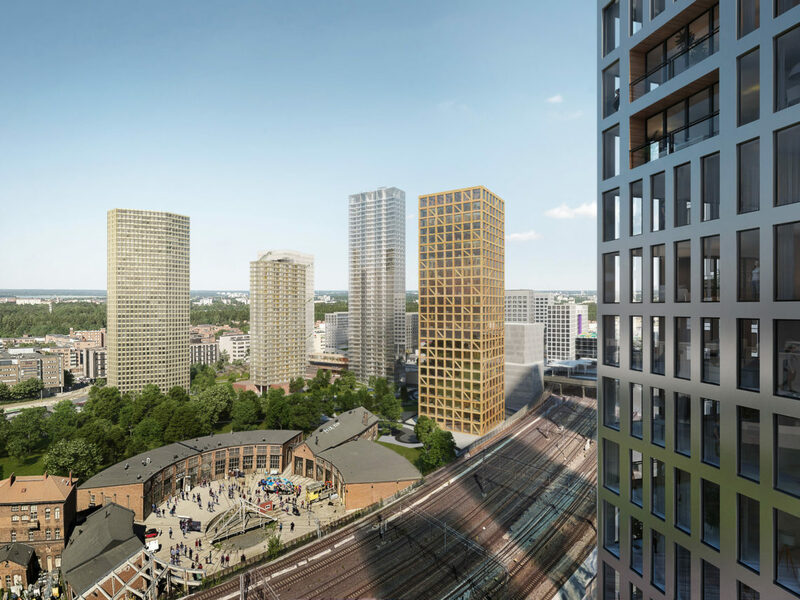 None of the developments offer new places with naturally contrasting towers creating multidimensional, deep space – multiplying one tower is not enough. 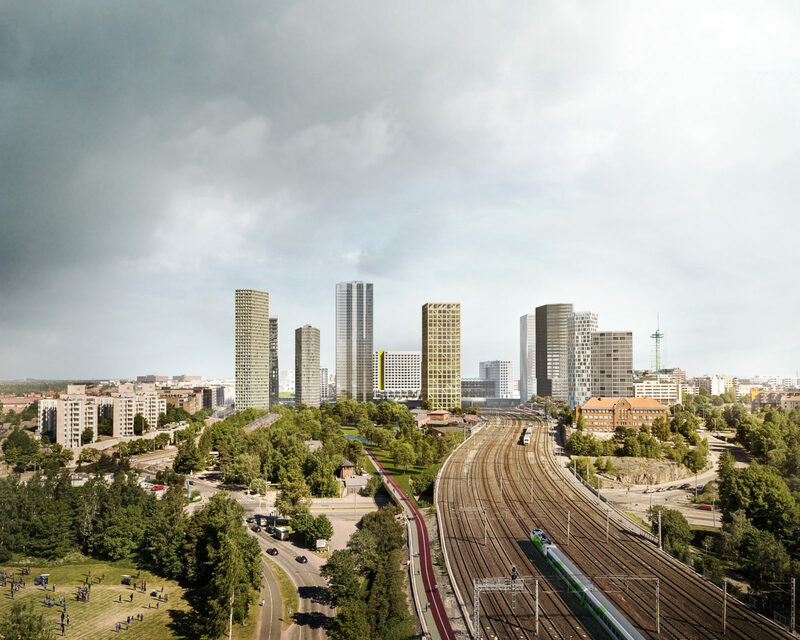 The Helsinki High-Rise Competition in the Pasila area creates an excellent possi­bility to extend the area towards Helsinki city center through the Olympic Park. 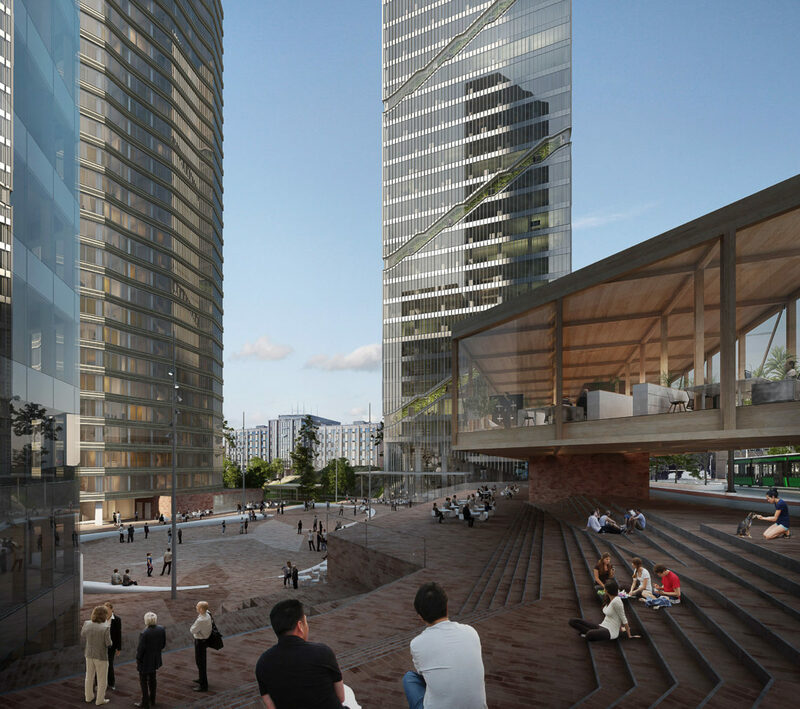 One of the main goals of our proposal is to bring the beautifully rough character of the Pasila railyard up through the new high-rise district all the way to the Pasilansilta bridge. 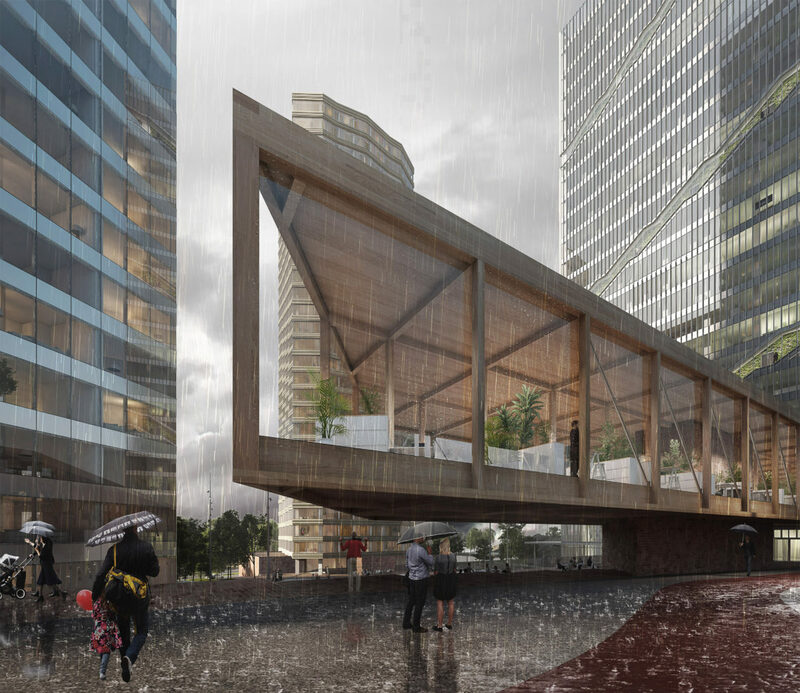 This connection is shown through materials used; the whole main square, including the market hall and pedestals are laid in red brick with a wooden co-working building covering an elevated public terrace. 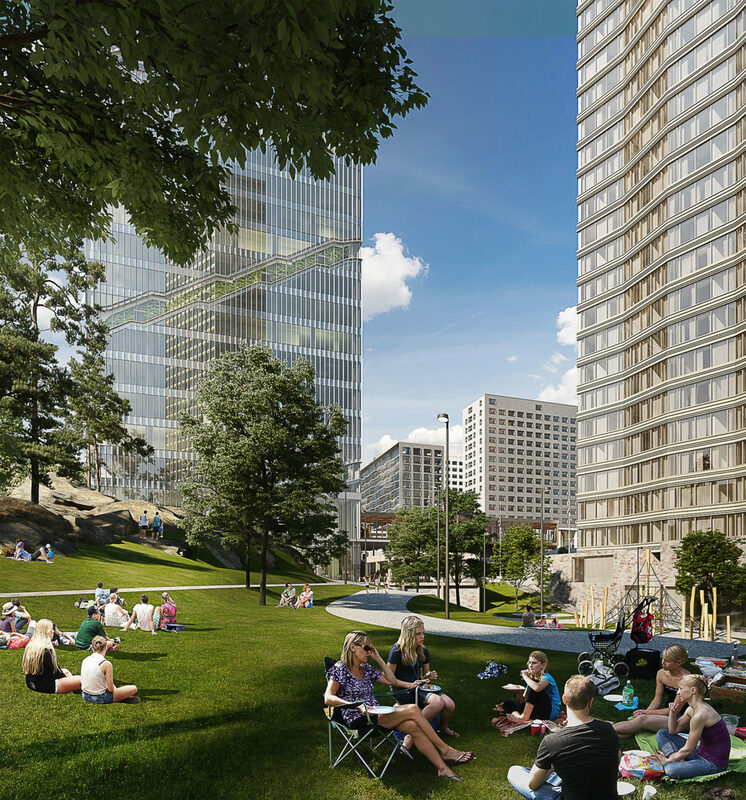 The railyard itself will be turned into meadows and groves with deciduous trees planted also in the courtyards and on the plaza in between the towers. 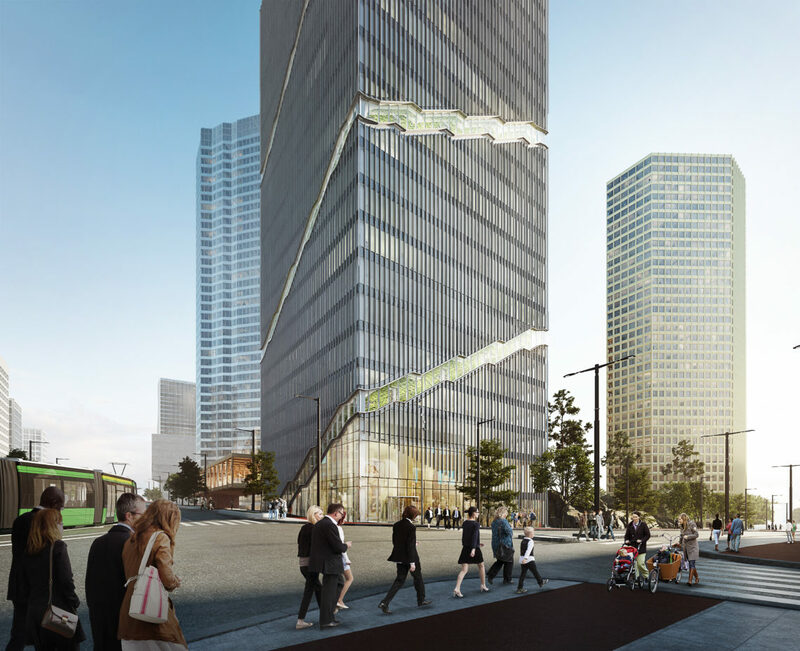 This green pedestal links Pasila to the Central Park. 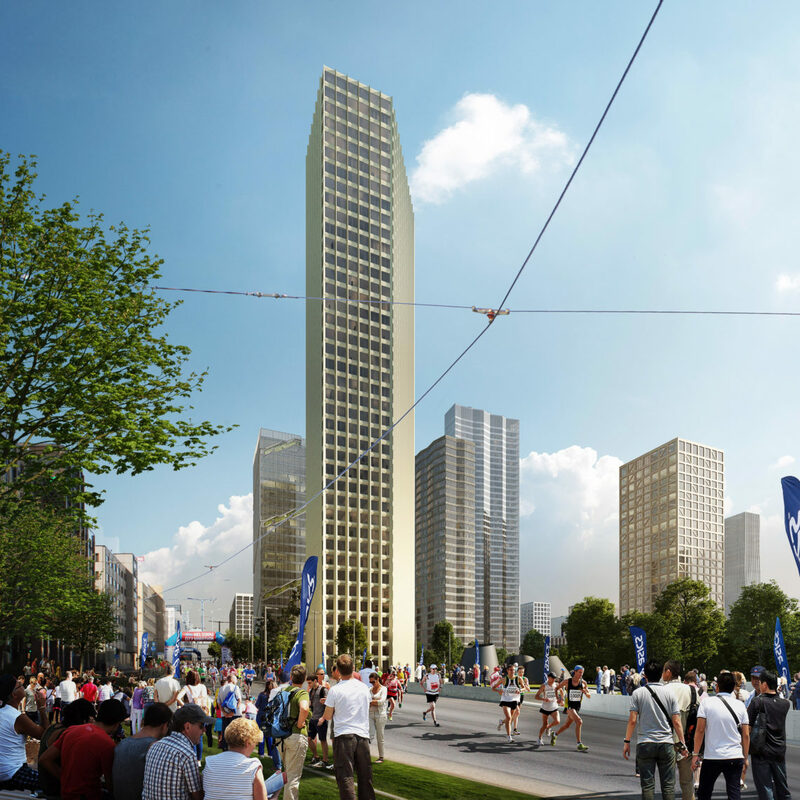 In the proposal each individual tower has been given a spe­cific character. The idea is not to create huge sculptures, but to describe the content and uses of the buildings, be it residential, office or commercial. The outdoor spaces are green and intimate, yet metropolitan in nature. 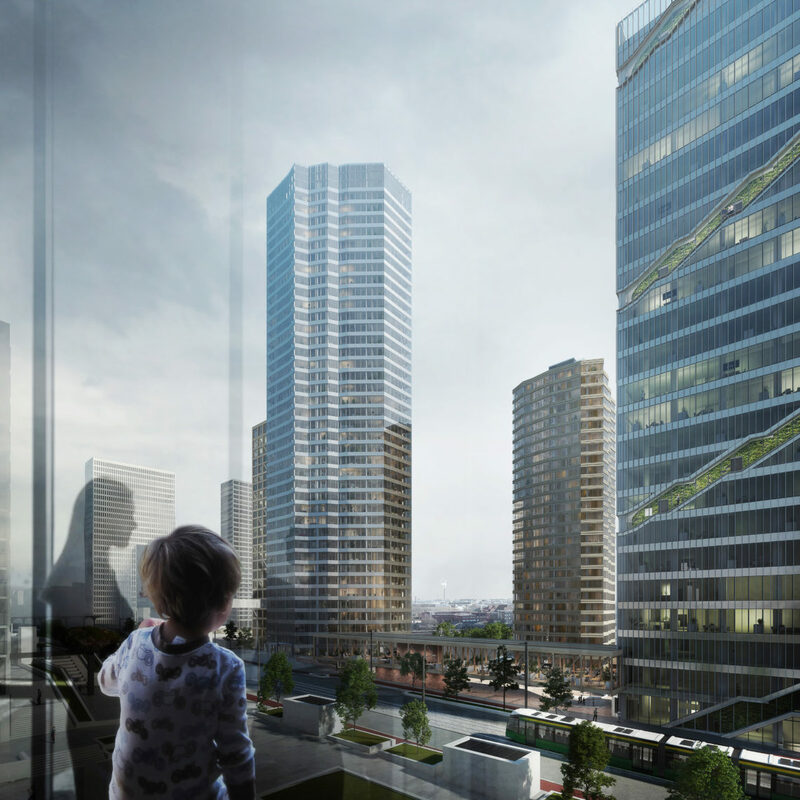 Spatially diverse life between the buildings is catalyzed by the low buildings bordering open spaces, level variations, long and short vistas, and a wide selection of possible routes through the area. 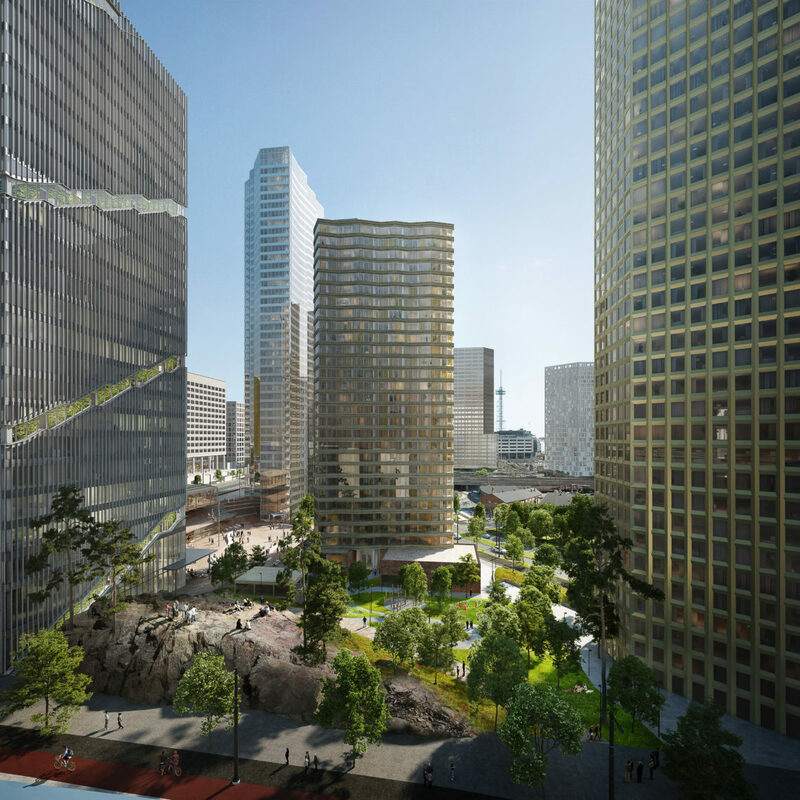 “Etelä-Pasila” as a whole has everything it takes to re-create the Pasila neighborhood for the third time.